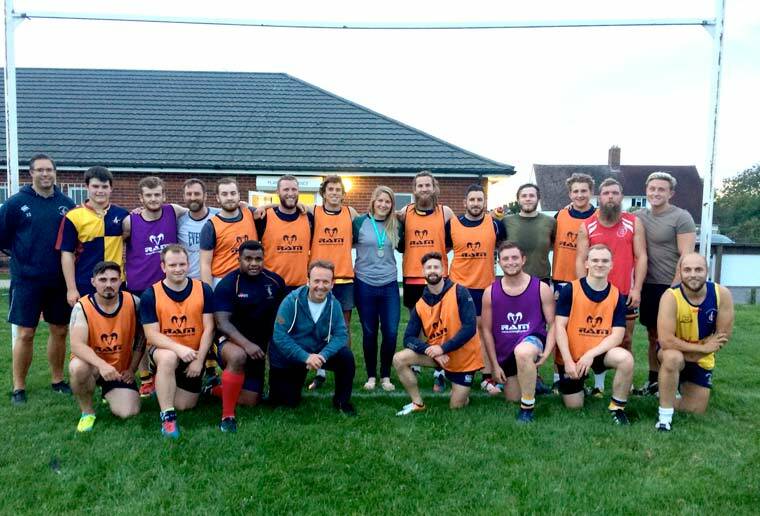 Returning home from the Women's Rugby World Cup in Ireland, Poppy Cleall visited her former club Ellingham & Ringwood RFC to talk about her experience in the England squad. The former Ellingham & Ringwood player Poppy Cleall headed straight from Ireland to her club after returning home from the Women’s Rugby World Cup, stopping only to meet the Prime Minister at Downing Street with the rest of the squad. Poppy said “It was really exciting to play in my first World Cup, particularly with all the television and media coverage, but it was bitterly disappointing to lose in the final to New Zealand”. Poppy was able to show off her silver medal to her former coach Steve Benson, former team mates and the club’s 1st XV squad. She also generously donated and signed one of her World Cup shirt, which the club will be getting framed so they can display it in their club house at the Raymond Brown Memorial Ground in Parsonage Barn Lane, Ringwood. The whole of the England squad were on professional contracts in the year leading up to the World Cup, but controversially the Rugby Football Union has ended these and are now only offering contracts to their sevens squad. Poppy, who now plays for Premiership side Bristol is hoping to resume her career in the prison service, while continuing to train and play for her club and country.